2699 Automatic Trap Primer - Jay R. Smith MFG Co.
Used where trapped drains are installed in locations used infrequently or other conditions might permit water seal to evaporate, allowing sewer gas or objectionable and contaminating odors to escape through drain. A trap primer is recommended to compensate for evaporation while providing a water seal in the trap at all times. Lead Free Law (US Senate Bill S.3874) passed and was signed by the President on January 04, 2011 with the effective date of January 04, 2014. This Federal Law mandates the wetted surface of pipe, fixture and fittings sold for or installed in potable water applications conveying potable water for the purpose of drinking and/or cooking purposes, not contain more than 0.25% lead by weight. Similar laws have also been passed and are already in effecti in California, Vermont, Maryland and Lousiana. This JR Smith product does meet this criteria. Cast Bronze with 1/2" (13). Connection as indicated by Figure Number Selected. Smith No. 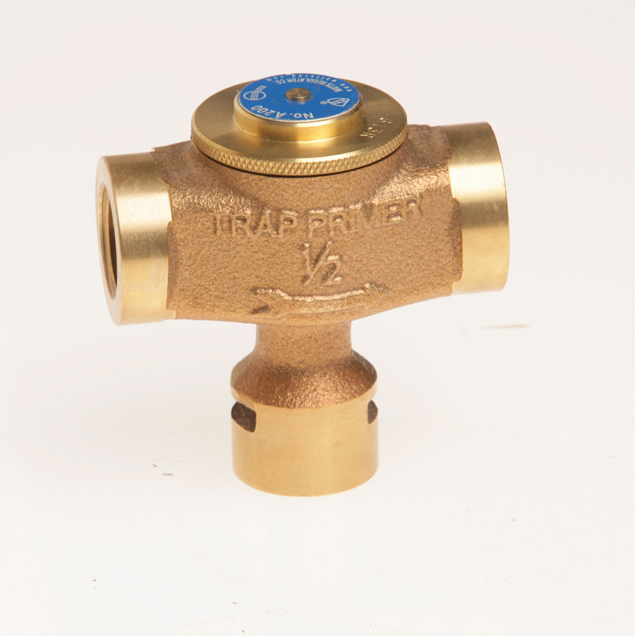 2699 cast bronze trap primer with 1/2” connections. Provide primered drains with Smith No. 2695 or 2696 cast iron trap primer adaptors.